The Chair supports and contributes to the supply of courses to the Faculty of Theology and Religious Studies. It takes on the responsibility for some theology courses, but especially philosophy courses, within the preparatory training to theological studies. 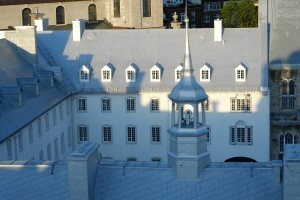 The Faculty of Theology and Religious Studies of Université Laval manages all the activities of training supported by the Chair and offers various profiles in this respect.